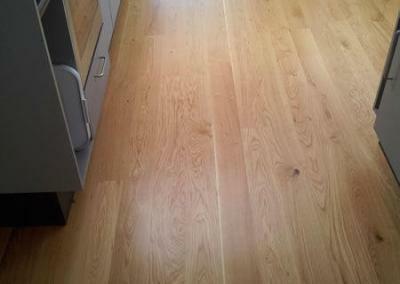 A quality engineered floor gives you the look and feel of a solid timber floor. It is extremely stable in use and suitable for all areas and budgets. The timber is sustainably grown and it is easy and quick to install as the boards come pre-finished. 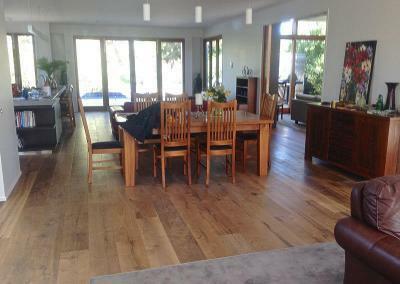 NINTERIOR DESIGN – A popular choice is a clear European Oak floor or a rustic French Oak timber for the top layer. Both featuring distinctive colours as well as sophisticated wire brushing and scraping techniques. Add to this a wide range of stains/colour options and there is no end to the looks that can be achieved. NSTRUCTURE AND STABILITY – An engineered timber floor consists of a solid timber wear layer glued on to an engineered core making it more stable in use than a solid timber floor. They come pre-finished in either a Hardwax Oil or an ultra durable lacquer, often with extensive warranties. 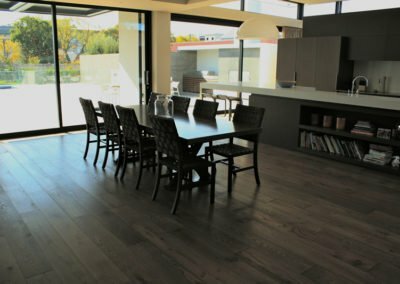 NPRICE – Engineered timber floors are available in a Premium, Country or Rustic Grades and come in different widths, lengths and thicknesses to suit all areas and budgets. NINSTALLATION – An engineered floor is easy to install and can be either glued down or floated. It is suitable to use over under floor heating.